It’s now official: the International Mountain Bicycling Association has named the Roanoke Valley as a preferred destination for mountain bikers. WFIR’s Lillian Boyd has more on the decision making process. The designation did not happen overnight. “It took nearly two years of hard work by many people throughout Virginia’s Blue Ridge to get to this point. This announcement is a real game changer.” stated Lee Wilhelm, Chair of Visit Virginia’s Blue Ridge. The Ride Center application criteria served as a blueprint for achieving and improving the trail systems. “We see it as a catalyst for increased investment in our current trail systems and it will help develop new trail projects similar to those at Explore Park as well as throughout Virginia’s Blue Ridge.” said Kristine McCormick, President of Roanoke IMBA. With only fifteen Silver-Level Ride Centers in the world and the only Ride Center on the East Coast, we are ready to stake our claim as “America’s East Coast Mountain Biking Capital.” The growth and expansion of mountain biking in Virginia’s Blue Ridge will attract biking enthusiasts of all levels to experience a Metro-Mountain Adventure through the variety of trails and destination amenities. The IMBA Ride Center designation recognizes the pinnacle of mountain biking communities. These are communities with something for every rider, from a variety of mountain biking experiences for locals and visitors alike, to robust local accommodations for visiting mountain bikers. IMBA Ride Centers will be extensive trail networks, masterfully designed for mountain bikers of every skill level and built by professional trail builders and local volunteers. From backcountry adventures to shuttle-served gravity trails, and from expert-only trails to family-friendly riding, mountain bikers can expect the best the sport has to offer at an IMBA Ride Center. What it means to be a Ride Center: The Ride Center designation recognizes progressive trail communities that value mountain biking and have a trail-forward approach that serves their community members alongside recreational tourism. A Ride Center designation will bring major economic benefits to a community. Helena, a Silver-Level IMBA Ride Center, saw 63,000 visitors in the summer of 2017, who generated $4.3 million in economic activity and supported 60 jobs. What it takes to be a Ride Center: This designation is just as much about the process as the award itself. The application criteria serves as the blueprint for achieving and improving a trail system and is comprised of multiple factors with both trail experience and surrounding community amenities being measured. This designation is designed to support local stakeholders and land managers in their effort to create the ultimate mountain biking destination trail system. There are currently 39 IMBA Ride Centers—30 in the U.S. and 9 international. For a full list of individual Ride Centers, see the bottom of this document. The Teton Ride Center spans Wyoming and Idaho. With this, Idaho has four Ride Centers. Four U.S. states now have three Ride Centers: Arkansas, Colorado, Minnesota and Virginia. Arizona and Michigan have two Ride Centers. Internationally, New Zealand has three Ride Centers. British Columbia (Canada), and Czech Republic have two Ride Centers. IMBA and Ride Center should always be capitalized. On the first instance of the designation in any written material (press release, web page, etc. ), Ride Center should appear with the trademark symbol (Ride Center™.) After the first reference, the symbol is not needed. About IMBA – The International Mountain Bicycling Association (IMBA) is a 501(c)3 nonprofit educational association established in 1988. 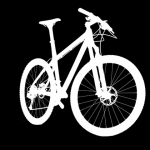 Its mission is to create, enhance and protect great places to ride mountain bikes. IMBA believes mountain biking changes lives and improves communities, and works to influence more places to ride mountain bikes close to home. The International Mountain Bicycling Association is the leader in mountain bike advocacy, education, promotion and trail creation. Since 1988, IMBA has taught and encouraged low-impact riding, grassroots advocacy, sustainable trail design, innovative land management practices and cooperation among trail user groups. IMBA is led by Executive Director Dave Wiens, six-time Leadville 100 champion, a member of the Mountain Bike Hall of Fame, Founder of the Mountain Sports program at Western State Colorado University and legendary mountain bike advocate and race promoter in Gunnison, Colorado. For further IMBA questions on media and announcements, please contact Eleanor Blick, IMBA Communications Manager, eleanor.blick@imba.com. For further questions on IMBA Ride Center designations, please contact Shane Wilson, IMBA Trail Solutions Project Manager, shane.wilson@imba.com.